14. 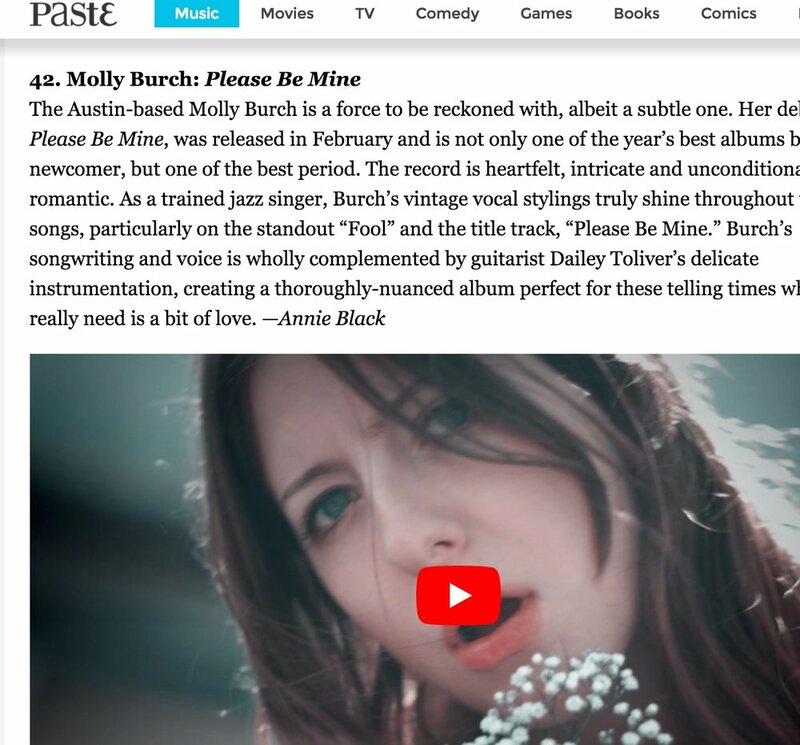 It’s hard not to compare Molly Burch to Patsy Cline when you hear her deep drawl. But the ’60s-throwback waltzing sound of her debut record Please Be Mine extends far beyond nostalgia for that era, or the country genre itself. There are too many small, experimental details on this album to pigeonhole it in any one genre, but given the generous palette of folk, it felt like the most natural fit here, where her sometimes confrontational kiss-offs to bad men, and admission of her own mistakes, depict a songwriter who is able to convey emotional pain with a sweet, unassuming grace. Albums focused too much on yearning for love can get heavy, but Burch keeps it light, never giving an inch even when her desires don’t pan out.–C.W.